Remove the pressure relief plug-(1),spring-(2), and plunger-(3). 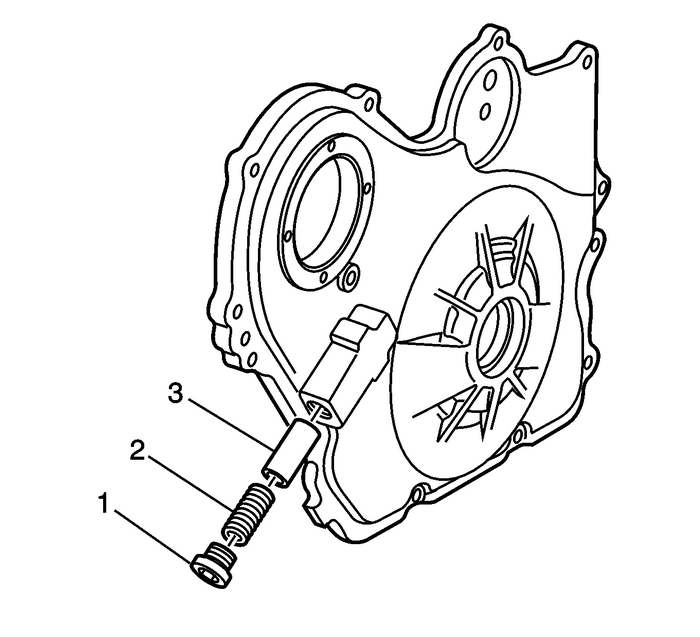 Remove the oil pump gerotor cover-(1) andbolts.Clean all of the parts in cleaning solvent. Remove varnish,sludge and dirt.Inspect the oil pump-(2, 3) for wear and scoring.Ensure that all components are within specifications. Refer toEngine Mechanical Specifications. 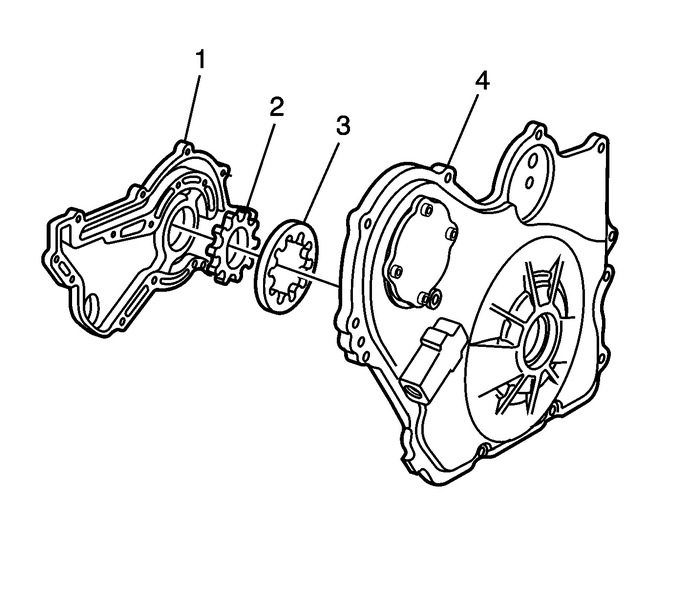 Replace the front cover-(4) and oil pump assemblyif it is out of specification or damaged.